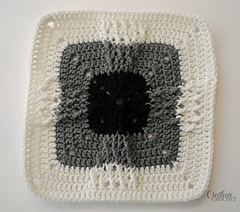 > The Windmill Square 12"
This free afghan crochet square, The Windmill Square, is designed using front post stitches, increased in a windmill shape. 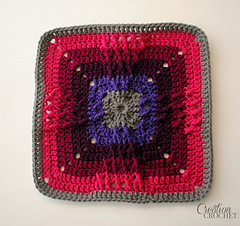 This 12” square is great for an afghan or a crochet pillow. • Be mindful of the stitches called for in pattern, as they change within each round. 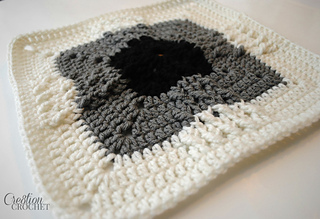 Stitches used for “X” stitches are longer than the stitches used for the rest of the round. 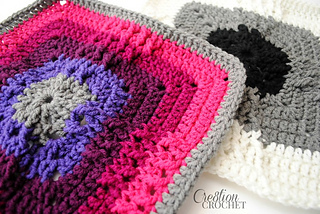 • Be mindful of when color changes are made, please make sure you make the changes where specified in pattern, they are not made when you join round.